Did Paul Actually See Jesus? Perhaps God’s most influential instrument was the apostle Paul, as he proclaimed the gospel message among an extraordinarily heavily persecuted time. He did not fly out to Jerusalem, preach, and then fly back to the United States to enjoy the comfort of his life. Preaching the gospel in hostile territory was his life, and far from mourning over such a life, he rejoiced that he could have the honor that is suffering for the sake of the Lord. God used Paul in such a way that he was one of the catalysts of the early church (of course, Christ is the catalyst of the church, but he used Paul). Therefore it is understandable that his conversion experience would be attacked by those who do not believe. So did Paul actually see Jesus? Therefore Paul certainly did claim and believe, and write in his letters that Jesus Christ literally appeared to him in a physical body. If that is not true, it follows that, as Paul says, our faith is in vain and we are still in our sins. Having said that, if it is true that Jesus appeared to Paul in his physical body and was the cause for his radical transformation wherein he was made a new creature, it follows that the central claims of Christian theology are true. So this experience on the road to Damascus is truly of high stakes. So then, did Paul actually see Jesus? What Was The Cause Of Paul’s Transformation? Consider the most hateful persecutors of the Christian movement in the modern era. Perhaps those of us in the United States may think of those who would offer angry diatribes, posing as academics and persuading youth to turn away from Christ. Perhaps we may think of those who are inside the church and giving people false doctrine, taking advantage of their parish. Perhaps we may consider the news reports about Islamic fundamentalists slaughtering Christians in Egypt. Among these deriders, Paul the apostle argues that he is worst of sinners. As a persecutor of the Christian church on the way to Damascus, and a promoter of the Christian church a few days later, there has to be some sort of explanation for this extraordinary turn of events. As Luke writes of Paul in Acts 8:3, “But Saul began to destroy the church. Going from house to house, he dragged off both men and women and put them in prison.” He is breaking into the homes of people who claim to be Christians, and dragging them out of their own home! There certainly was a deep-seated hatred and anger toward the Christian movement that motivated Paul. With that said, there must be some sort of explanation for Paul’s radical transformation that occurred within a few days. One might argue that he simply changed his mind. But, why? Why in the world would a committed Jew chuck the religion of his entire life, to promote a resurrection claim, which he was persecuting a few days later, all for the glory of being beaten, imprisoned, tortured, and eventually killed? There is just no causal connection between this mans’ persecution of the church and his conversion. Did Paul Hallucinate The Lord? Desperate to find a solution to this conundrum, non-believers will attempt to argue that Paul just hallucinated Jesus Christ on the road to Damascus, which caused his radical transformation. However still, as a committed Jew, and as a very angry and hateful man, even if Paul were to simply encounter someone who claimed to be Jesus in a supernatural fashion, one might expect that Paul would be persuaded that he was a demon, rather than God. But from this experience, Paul changed his mind about Jesus, an effect that we cannot be sure that a simple encounter would have. 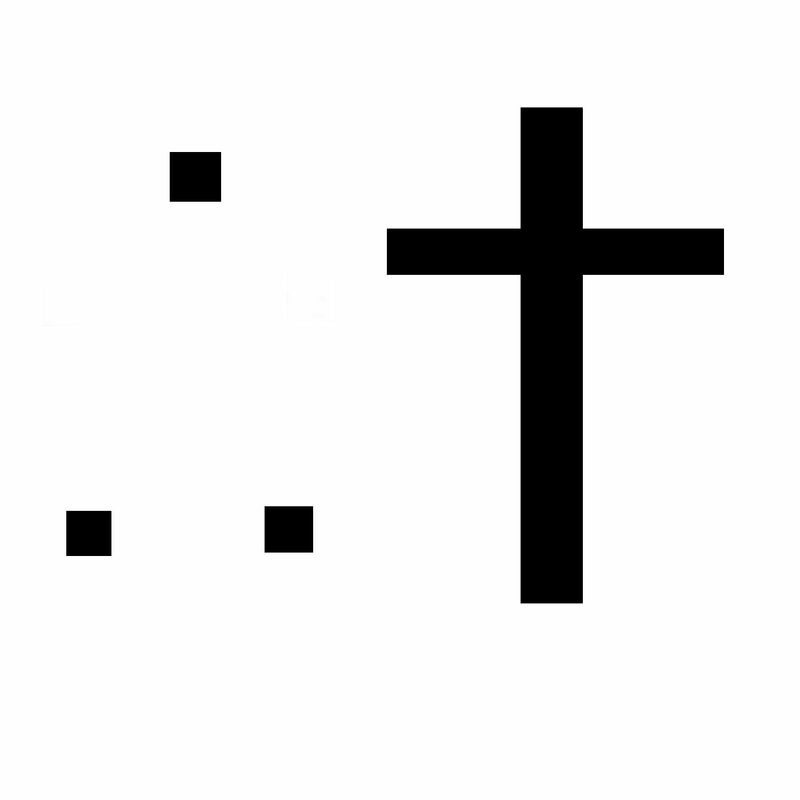 Further, there were two other companions with Paul when he experienced the Lord, both of which saw the light that surrounded Christ, and heard his voice as he spoke to Paul. One might argue that Luke was just making up a story when he wrote these things. 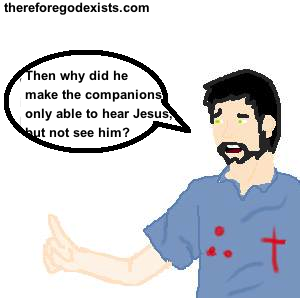 The problem that I find with this idea, though, is that the companions only had a partial vision of Christ. The could hear what he was saying, but they could not see him. 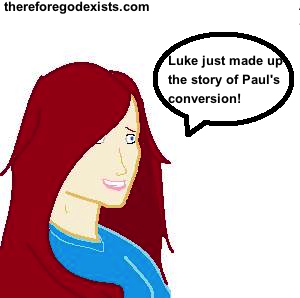 If Luke was going to invent a conversion experience, it would obviously be better for his case if he made the companions both hear and see what was occurring. Since he did not do that, it can be argued that Luke was just faithfully recording the events. But if he were going to make up a story, it would have had more details in his favor. Therefore it seems to me that we have good reasons to think that Paul’s experience was not a hallucination, but legitimate, and is the best explanation of the radical transformation of character that he endured. Should Christians Follow Jewish Traditions? «» Could All Religions Be True? Did Josephus Write About Jesus, Or Was It Entirely A Forgery?